Ticket Galaxy is the Official Fan to Fan Marketplace of the Women's Holiday Showcase. Get Basketball Hall of Fame Women's Holiday Showcase tickets at Ticket Galaxy today! 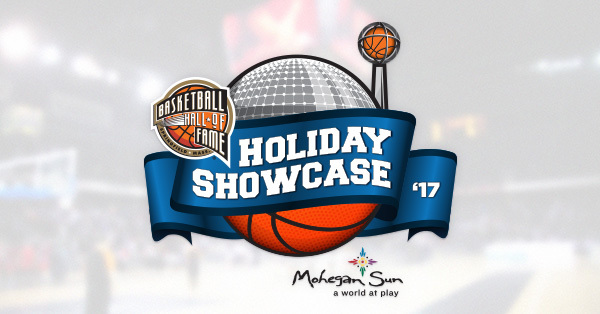 The Women’s Holiday Showcase this year will take place on November 17th at Mohegan Sun Arena in Uncasville, Connecticut. The two women’s college basketball teams that will be showcased this year are UConn and Vanderbilt. The UConn Huskies women’s basketball team owns the two longest winning streaks in all of college basketball history. UConn women's basketball has won eleven National Championships, making them a dynasty throughout all sports and not just women's sports. The iconic Geno Auriemma coaches the UConn Women's Basketball team since the '80s. Visit the official Women's Holiday Showcase page for more information. Purchase your Women's Holiday Showcase tickets at Ticket Galaxy! Choose your event date and click "Find Tickets" to bring you to our array of seating options. Select your tickets on the maps page by clicking the price box. From there, TicketGalaxy.com will bring you to our checkout. Get your Women's Holiday Showcase tickets quickly and easily today! Ticket Galaxy is the Official Fan to Fan Marketplace of the Women's Holiday Showcase.